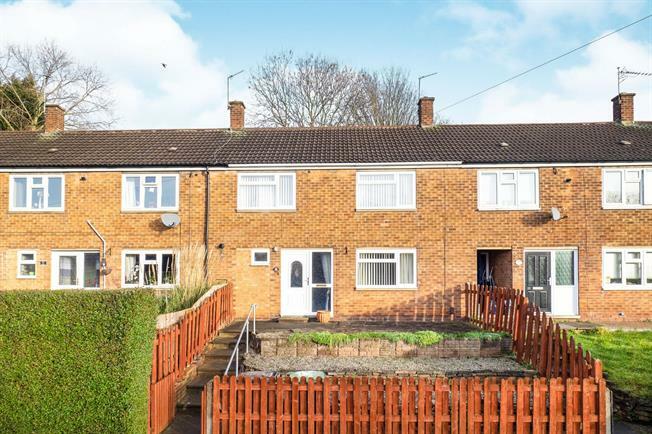 3 Bedroom Terraced House For Sale in Nottingham for Offers Over £140,000. A well maintained three bedroom town house which has good size rooms through out. This particular property is ideal for a family or for first time buyers having the benefit of a good size lounge, fitted kitchen with a comprehensive range of units, double glazed windows gas central heating with a combination boiler, downstairs WC and an upstairs bathroom. Outside there are well maintained gardens to the front and rear. Radiator, two double glazed UPVC windows. Access from Hallway and Kitchen. Radiator, Fitted units, sink bowl and drainer, Roll-top work surface. UPVC double glazed window.